BBC TV / 20th Century Fox / ABC TV. 1975. Executive Producer: Neil McCallum. 45 (ST) Cam. 100,040. 1975. Arranged & Conducted by Bruce Smeaton. Recorded for The Australian Broadcasting Commission. 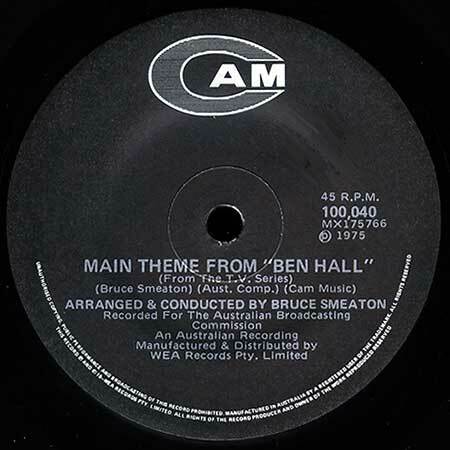 Side a: "Main Theme From "Ben Hall"". (Bruce Smeaton). (Cam Music). 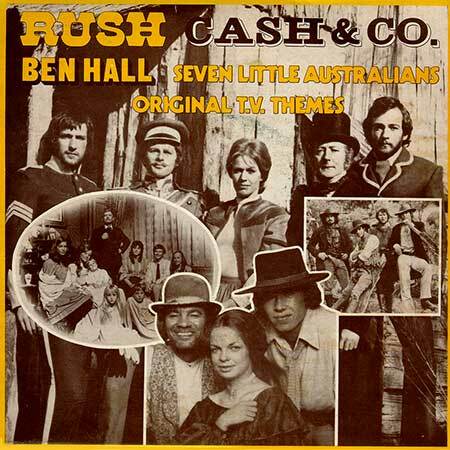 Side b: "Love Theme From "Ben Hall"". (Bruce Smeaton). (Cam Music). Image. IEP-3. "ORIGINAL T.V. THEMES". S2-Tk2 "Theme From "Ben Hall"". (2:51). (B. Smeaton). (Cam). The Bushwackers. Produced by Ern Rose. "Theme From Ben Hall". The Bushwackers. LP(t) (OP) Avenue. L-37,367. 1976. Gatefold. "THE BUSHWACKERS BAND...AND THE BAND PLAYED WALTZING MATILDA". Produced by Ern Rose and Ian McKenzie. Engineered by Ian McKenzie. Recorded at Armstrong Audio/Video, Melbourne. S2-Tk2 "Theme From "Ben Hall"". (2:53). (B. Smeaton). (Image). The Bushwackers..
LP(t) (OP) Avenue. SBP 237837. 1976. 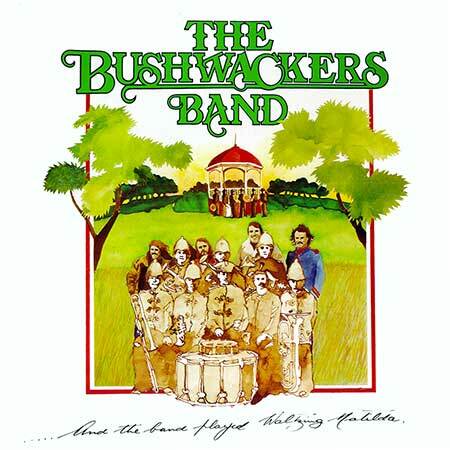 "THE BUSHWACKERS BAND - AND THE BAND PLAYED WALTZING MATILDA". S1-Tk4 "Theme From Ben Hall". (2:53). (B. Smeaton). (Image). The Bushwackers. S2-Tk5 "Theme From "Ben Hall"". (B. Smeaton). The Bushwackers. 45(a) (OP) RCA. 102679. 1975. Arranged and Produced by Rocky Thomas. Recording Engineer: Bruce Brown. "Darlin' Biddy". (2:55). (Smeaton, Halford). (CAM). v: Johnny Ashcroft.